Huskies and Hokies meet for a Dec. 15 rematch in Atlantic City, N.J. as part of a college basketball quadruple-header. UW lost 103-79 to Tech in a non-conference game last year. 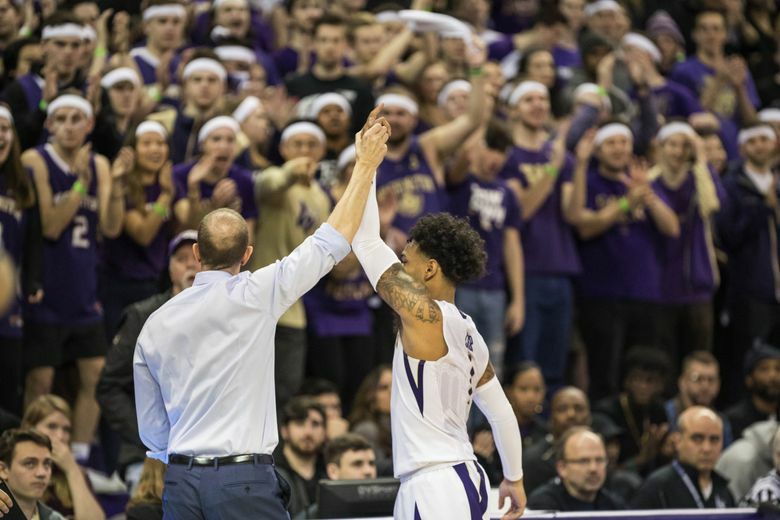 Depending on your vantage point, the Washington men’s basketball team’s schedule just got a little more interesting or increasingly difficult after the Huskies accepted an invitation to play Virginia Tech in the first-ever Boardwalk Classic. The non-conference game takes place Saturday, Dec. 15 at Historic Boardwalk Hall in Atlantic City, N.J. and is part of a four-game basketball bonanza. In the other games: Penn State faces North Carolina State, Temple plays Davidson and Princeton meets Iona. It will be the second straight season UW and Virginia Tech will meet following a 103-79 Hokies’ win in a consolation game of the 2K Classic at Madison Square Garden last November. UW trailed 59-28 at halftime and was down 34 points early in the second half. The 24-point defeat was the Huskies’ third-most lopsided loss last season. Last season the Hokies placed seventh in the Atlantic Coast Conference and lost in the first round of the NCAA tournament to finish 21-12. Led by guard Justin Robinson, a three-year starter and leading scorer last season, Tech returns six of its top seven scorers, including four starters. The Huskies tied for sixth in the Pac-12 last season and ended the season at 21-13 following a loss in the second round of the National Invitation Tournament. Washington will also participate in the inaugural Vancouver Showcase, an eight-team tournament played Nov. 18-20 at the Vancouver Convention Centre that includes Texas A&M, Minnesota and Santa Clara.